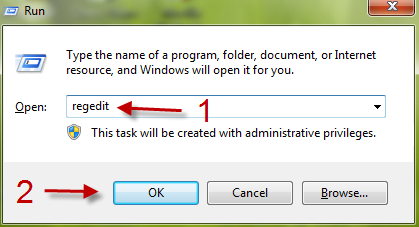 Bored with your windows 7’s default logon screen? Here’s the quick way to change it! 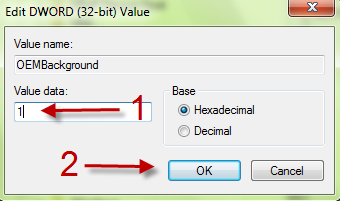 Before we start, make sure your picture is in .jpg format and it must be smaller than 256kb. Be careful to pay attention to the different directions based on which Windows 7 system you have. There are combined instructions for both systems at the bottom of the article. 1. Hit Winkey+R to open the Run box. 2. 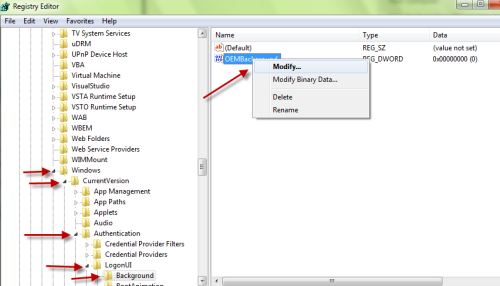 Type in gpedit.msc and click on OK to open Local Group Policy Editor. 3. 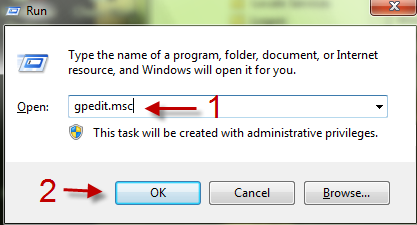 Go to Computer Configuration\Administrative Templates\System\Logon. 4. 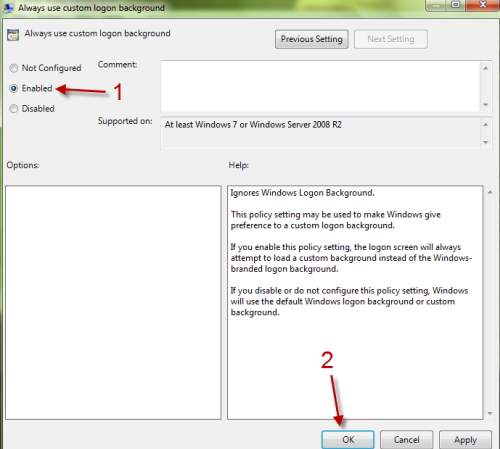 Double click on Always use custom logon background. 5. 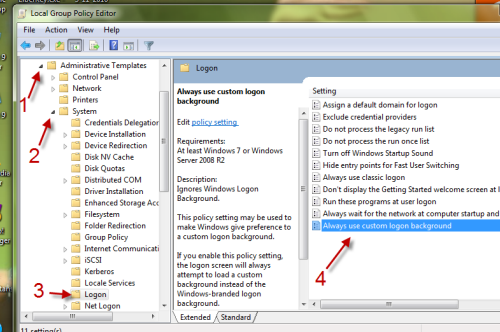 A new window will pop up, now you can choose Enable to use your custom logon background. Click on OK to close the window. 6. 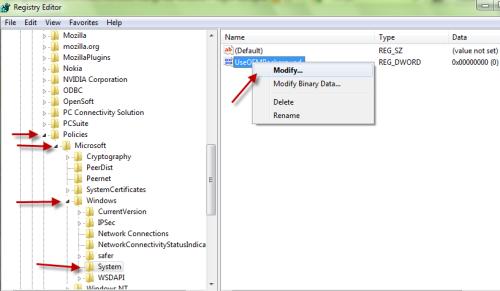 Close Local Group Policy Editor. 7. 1. 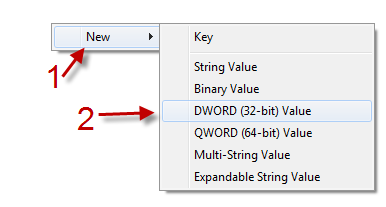 Hit Winkey+R to open the Run box and type in regedit and hit OK to open Registry editor. 9. Double click on OEMBackground and change its value to 1. Click Ok to close the box. 13. Double click on UseOEMBackground and change its value to 1 too! 15. Replace the default picture with your custom picture. You must rename your picture to backgroundDefault.jpg . 16. Close windows, logoff or press Ctrl+Alt+Del to see the result.